Nairobi (AFP) - The United Nations' aid chief for Somalia begged for cash Thursday to stave off starvation amid intense drought affecting a million people and to pull the war-torn country "back from the tipping point." "Urgent action is required right now. If not, we risk a rapid and deep deterioration of the situation, as drought conditions may worsen in the coming months," UN Humanitarian Coordinator for Somalia Peter de Clercq said, appealing for $105 million (92 million euros) for "life-saving" aid for more than one million people. "Communities are already losing their means of survival. The time to fund is now, to come back from the tipping point, avoid a greater crisis and avert loss of lives," he told reporters in Nairobi. The UN said that "malnutrition-related deaths" have already been reported. Northern Somali areas, including self-declared independent Somaliland along the Gulf of Aden and semi-autonomous Puntland, are especially hard hit, with some 385,000 people in acute need of food aid, with that figure feared to quadruple without help. 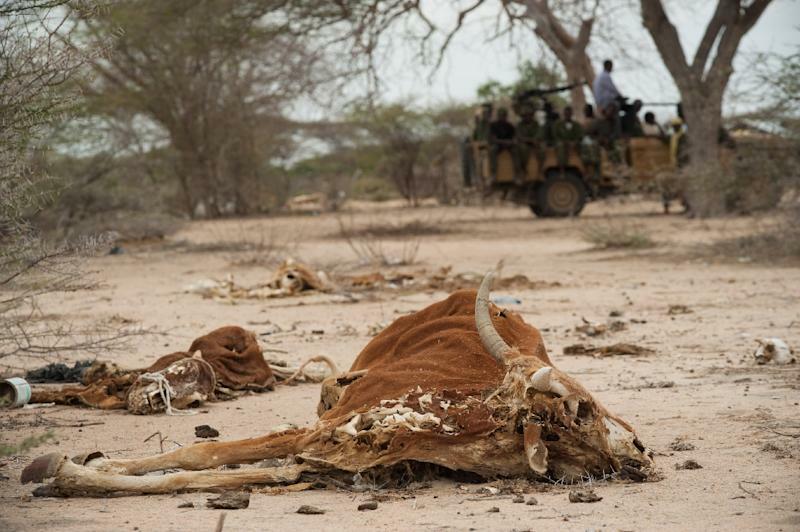 "The severe drought conditions have taken a toll on lives and livelihoods. If funding is not secured now, the consequences will be grave," a UN statement added. Severe drought and conflict in Somalia caused a famine in 2010-2012 that eventually killed a quarter of a million people. A similar number died during the previous 1992 famine. The warning also comes as neighbouring Ethiopia struggles to combat its worst drought for 30 years, with at least 10.2 million people needing food aid. The UN children's agency, Unicef, said 435,000 children are affected by severe malnutrition in Ethiopia, over double the usual number. "The ability of the drought affected population to meet their own food needs is very, very limited," World Food Programme (WFP) chief for Ethiopia John Aylieff said in Addis Ababa.